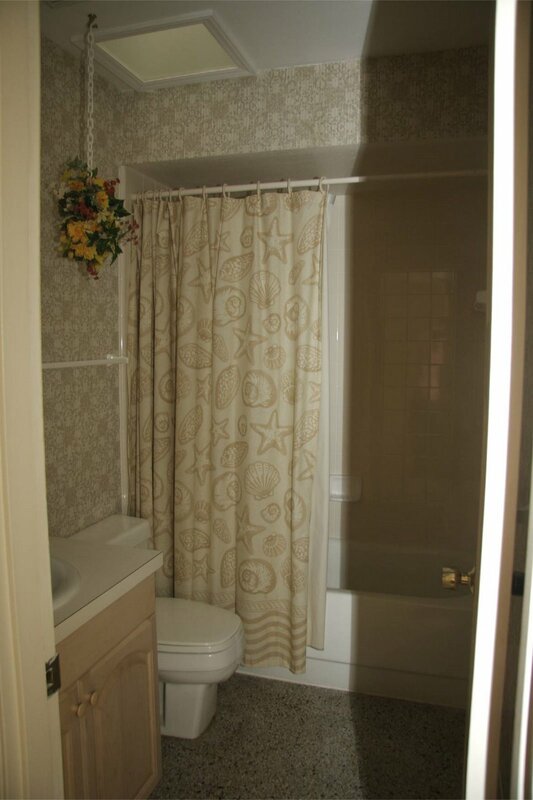 The before picture of the bathroom. Another during picture. 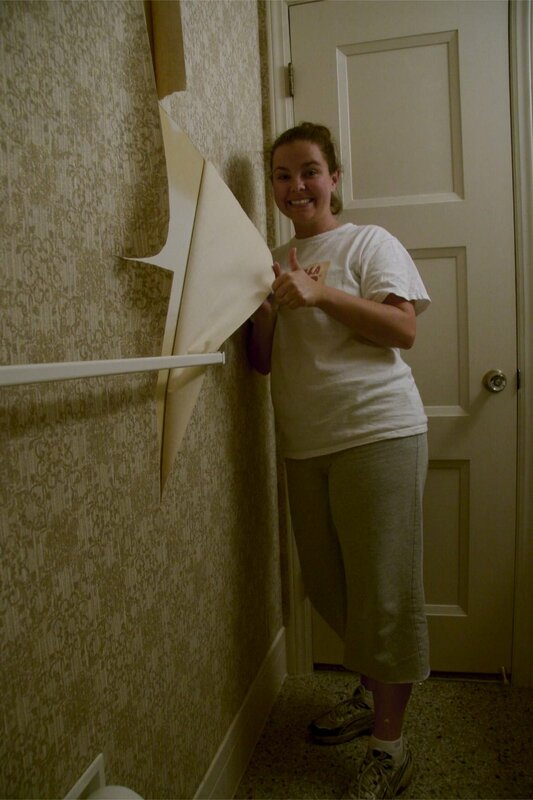 We were so excited because the wallpaper was coming off so easily, which did not happen in any of the other wallpapered rooms in the house. What we didn’t realize was that the glue wasn’t going to come off without a fight. The finished, guest friendly- the door is on too, product! 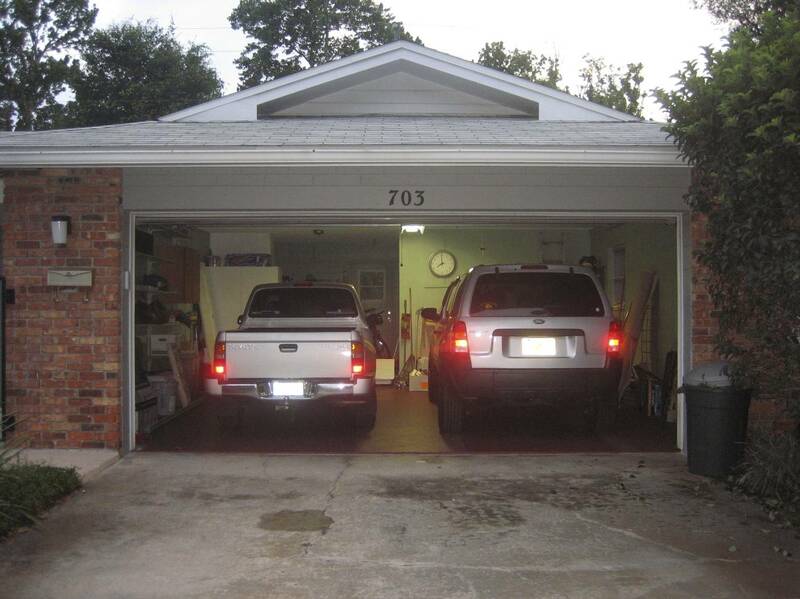 Yup, those are pictures of a garage that is home to two parked cars and a completed guest bathroom. 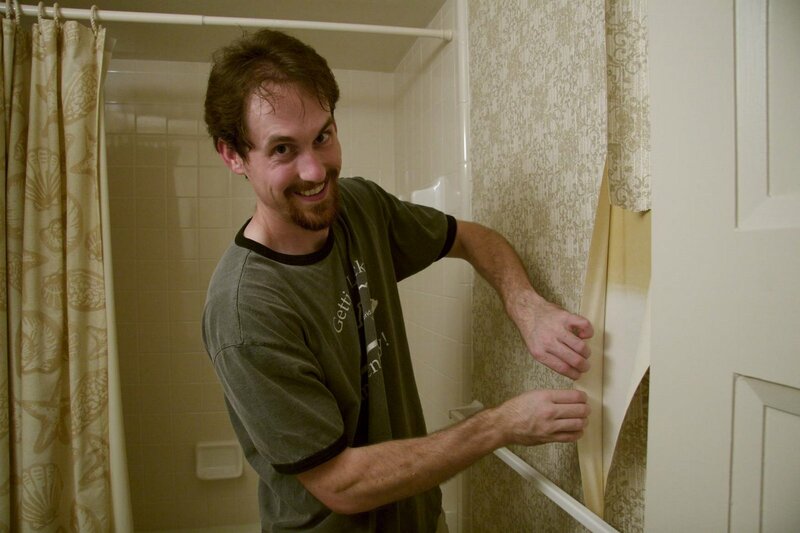 As some of you know, Jamie and I have a long list of things to do around the house, which included finishing the guest bath and cleaning out the garage (two of our large items to check off). It is a wish list of sorts; you know, I wish we could do that or more realistically I wish we had time to finish that. So, checking off these two items from the list made me do a little happy dance, no there are not pictures of that. 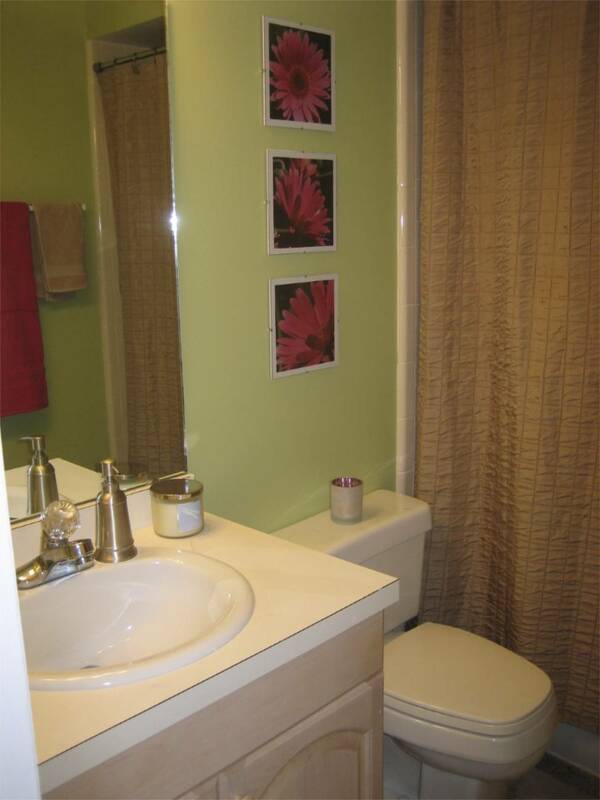 I do wish that I would have taken more pictures of the stages that the bathroom went through; it would help to accurately show how big of a pain this little room was and how different it looked during each stage really. 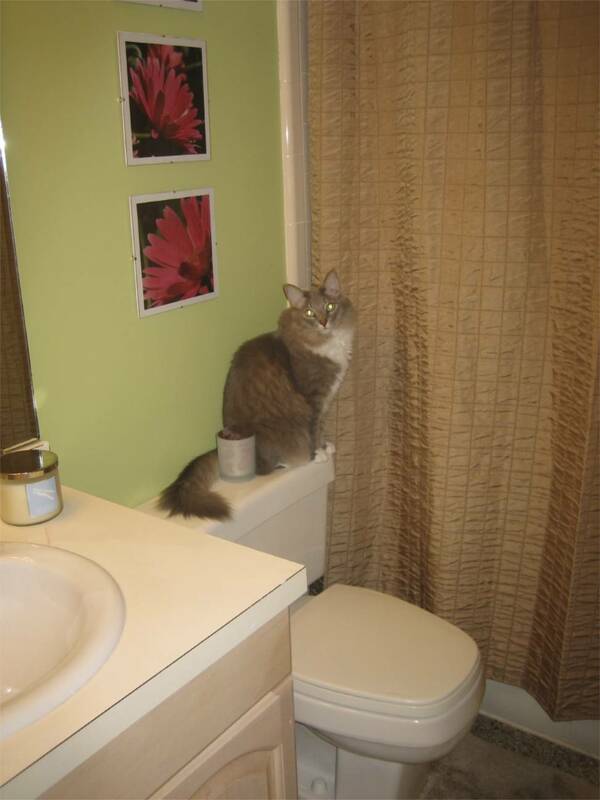 Below are some fun pictures of the other family members enjoying the newly finished bathroom. 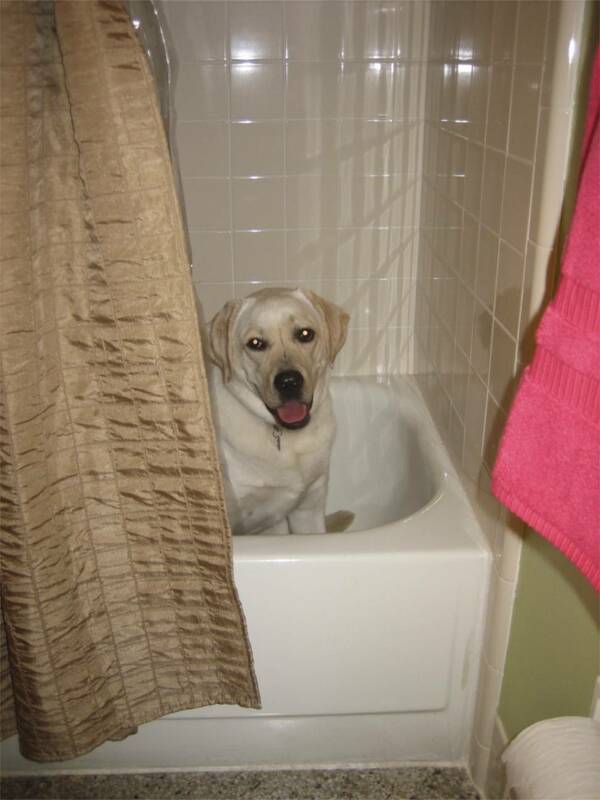 Piper in the tub at the new house, she keeps jumping in and out of the tub; she loved the tub at the old house and I think she missed it. Couldn’t resist the opportunity to post cute baby Piper pictures. 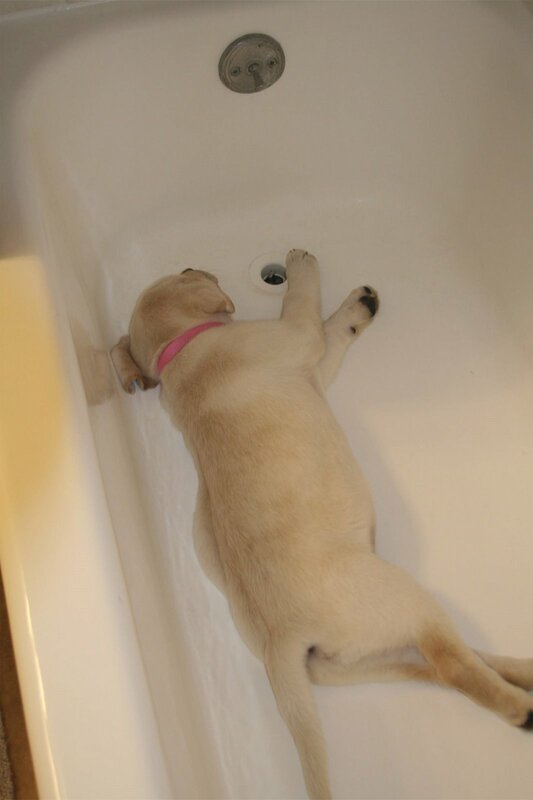 We would find her sound asleep in the tub often. Piper and Daddy in the tub. Dolce, he is so innocent looking isn’t he?